A little Celtic, a little classical, and lot of Simon. Simon's 4th album Shallow Sea is now available here. The full-length album is a rich, melodic expression of the acoustic steel-string guitar. With sparse keyboard backing and a few fiddle gems, the album is equal parts dark and up-lifting. The native woods of the beautiful Laurie Williams guitar bring a unique sound to Simon's recording. 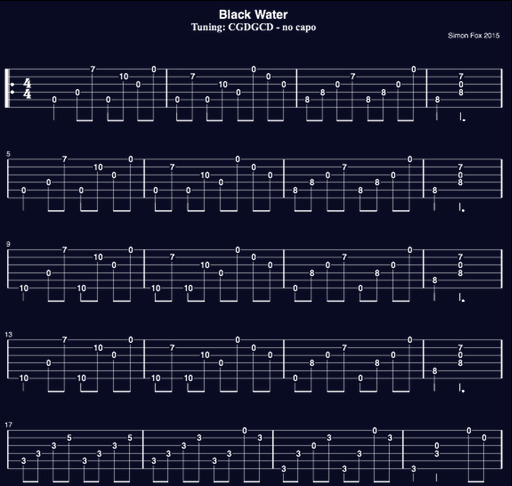 Shallow Sea tabs are here at last ! Also stack of free tabs from Simon's earlier albums, performance tips and the world's biggest collection of chords, scales and lessons about the DADGAD tuning.